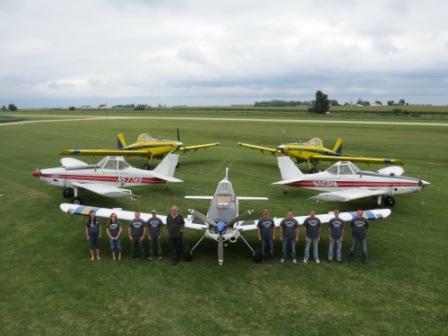 R&M Spraying - AirFlair Inc.
R&M Spraying Service is devoted to providing the highest quality service in aerial applications. We are a licensed chemical dealer with several Certified Aerial Consultants on staff. Our aircraft are equipped with the latest in GPS guidance technology and are computer swath tested to ensure application will be made with the proper swath width, spray dispersal, and droplet size.